Check out graphics created by Shane Zentz, including photography, advertisements, brochures, and graphics created with Photoshop, Illustrator, Gimp, and other computer graphics applications. I have been creating computer graphics of all kinds since around 2007 or so, and have gained substantial skills and knowledge with the creation of graphics of all kinds, including several print advertisements that have appeared in nation-wide popular magazines. All the graphics on links below are examples of work created by Shane Zentz. In short, I have been creating computer graphics since at least 2007 and have gotten pretty good at it. I mainly use Photoshop, but I also use Adobe's Illustrator, Gimp, and even Corel's Photo editor and Paint, as well as other computer graphics applications. Feel free to look around and also feel free to contact me (through the contact link in menu above) with any comments or questions about my graphics work. 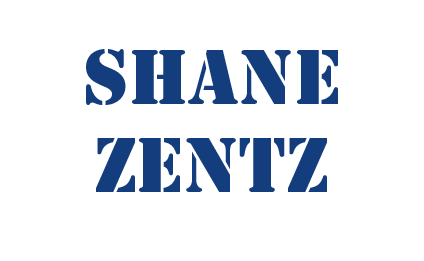 Thanks for visiting Shane Zentz Website and enjoy your visit! This page is divided up into sections for examples of my work in Photoshop, Illustrator, Logos, Advertisements, Photography, and even a miscellaneous section as well. So go ahead and have a look at all of the links and pages here to get a good idea of the computer graphics work done by Shane Zentz. And remember if you need any computer graphics work done, feel free to contact me as I can do most any graphics that you or your organization may need, including, but not limited to: logos, advertisements, photo manipulation and editing, and even more, etc. I am sure you will be pleased with any computer graphics work that I would complete for you or your organization, and you may well also be pleasentaly surprised with the low cost as well. So consider me for your next computer graphics projects and you will not regret it. Remember, I can work in Photoshop, Illustrator, GIMP, or most any other graphics program, so whatever your project would involve you can rest assured that I would get the job done professionally, on time, and on budget. So feel free to contact me (use the contact link above), best way is through email. Also have a look at my resume and the rest of my website if you are interested in my other types of work.